– At the end of December, Russia arrested a suspected US spy in Moscow. Paul Whelan, а former US Marine, faces ten to twenty years in a Russian prison after he was found with a memory stick containing state secrets. Whelan’s lawyer said that he believed the stick to contain holiday photos and videos, along with advice about cultural activities including a “trip to a cathedral”, echoing the excuse given by alleged Russian spies about their presence in Salisbury during the time of the Novichok poisoning. Few other details have been released to the public, but the FSB (Russia’s secret service) say that he was detained “during an act of espionage”. Whelan holds four nationalities – Canadian, British, Irish and American – meaning that this arrest has many countries concerned for his safety, and the situation is rife with possibility for diplomatic incidents. On the 5th of January Moscow announced that they had refused a spy-swap deal for Whelan with the US. – 31st December – A gas leak destroyed a block of flats in the Ural region of Russia, resulting in thirty-nine fatalities. After the collapse, emergency crews managed to rescue twenty-four people, including one infant. Terrorist group IS (formerly ISIS) initially claimed credit for the explosion, but investigators discredited the claim as no bomb paraphernalia or residue were found at the scene. 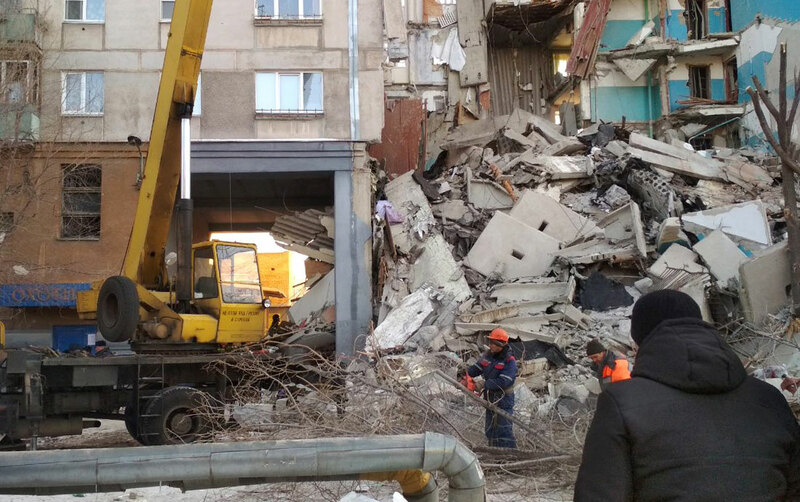 The building was demolished on the 21st of January, with President Vladimir Putin personally ordering that the residents be rehoused elsewhere. – 5th January – The recently formed Ukrainian Orthodox Church has been granted independence from Russia in a historic split. Head of the global Orthodox Church, Ecumenical Patriarch Bartholomew, signed the document confirming the church’s autonomy at a ceremony in Istanbul. Russia’s Church, which has held control over the Ukrainian Church for centuries, is furious, with the decree further splitting an already deeply divided worldwide Orthodox Church. The Ukrainian Orthodox Church is a new group of two branches of Orthodox Christianity in Ukraine – the Orthodox Church Kyiv Patriarchate and the Ukrainian Autocephalous Orthodox Church. The third branch, the Moscow Patriarchate, is now the only one under Moscow’s control – it is an estimated loss of 12,000 parishes for the Russian Church. – 8th January – Further details of Putin’s Soviet Army record were released, including the revelation that he once commanded an artillery battalion. During a visit to St. Petersburg on January 7th, Putin announced this surprising detail, which has been left out of official biographies and Kremlin communications. According to official stories, Putin joined the KGB immediately after graduating from Leningrad (now St Petersburg) State University in 1975, rising to the rank of lieutenant colonel before the USSR collapsed in 1991. This revelation follows on from the discovery of Putin’s East German Stasi card last month – the Kremlin have still refused to confirm or deny that he was ever issued one. – 9th January – The newly released Russian war film T-34 has smashed box-office records, taking in 713 million Roubles (around 10.85 million US Dollars), the highest ever for a Russian-made movie. 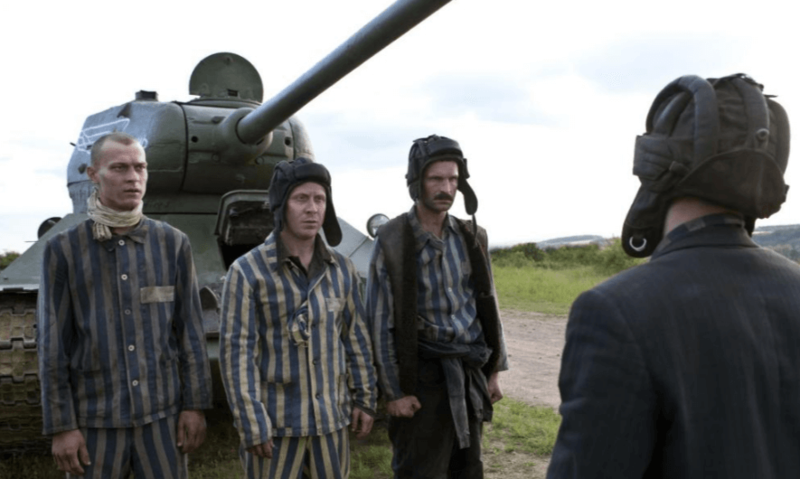 The film, which was state-funded, follows the story of a Soviet soldier called Ivushkin in World War Two who graduates from the Tank Academy and is immediately sent to fight against a dozen German tanks, where he at first succeeds but is eventually captured. Three years later, the Germans take him out of a concentration camp to operate a new T-34 tank – but Ivushkin has an escape plan in mind. The film plays strongly into patriotism and devotion to Russia as the Motherland; memories of World War Two are still highly integrated within the Russian zeitgeist, and have often been a key tool in Putin’s campaign to stay in power in the Kremlin. – 12th January – The New York Times reported that the FBI had opened an investigation into Donald Trump’s links with Russia – specifically looking into if he was secretly working for the Kremlin. After Trump fired FBI Director James Comey in May, 2017, law enforcement officials were so concerned by the President’s behaviour that they began considering if he had anti-US goals on behalf of Moscow, and even went so far as to consider if he might be a threat to national security. Trump the following day issued a series of erratic tweets, including (without evidence) a statement that “all of the leaders who opened the investigation were fired or forced to leave the agency for some very bad reasons”. Trump has continuously been in hot water regarding his relationship to Russia and specifically President Vladimir Putin, with the US President most recently coming under fire for taking his own Russian interpreters’ notes from a meeting with Putin in 2017 and instructing the linguist not to disclose anything that was discussed during the meeting. – 14th January – Two people were killed and around forty arrested in anti-LGBTQ+ purges in Chechnya – the deaths were reportedly caused by police torture. A similar situation occurred in 2017, where gay men were rounded up by police and subjected to beatings and more graphic torture in secret police cells. This time, the purge is not just limited to men, but anyone identifying along the LGBTQ+ spectrum. Those detained are being held in a small town called Argun, and their documents have been seized and family members threatened against speaking out publicly against the situation. Ramzan Kadyrov, the leader of Chechnya, was sanctioned worldwide for the 2017 incidents – it is likely that similar action will be taken again this year. Kadyrov has denied that any purge took place, but also has been quoted as saying that gay people in Chechnya should be removed “to cleanse our blood”. – 16th January – The United States rejected Moscow’s offer to inspect a new Russian missile, suspected of infringing on the Cold War-era Intermediate-Range Nuclear Forces (INF) Treaty, and announced it would officially suspend its participation in said treaty effective from the 2nd of February 2019, with complete withdrawal occurring six months later. The US are demanding that the offensive missile systems, known as 9M729, be destroyed, and Russia is unwilling to comply. Sergei Lavrov, Russia’s foreign minister, said that “US representatives arrived with a prepared position that was based on an ultimatum and centred on a demand for us to destroy this rocket, its launchers and all related equipment under US supervision”. Andrea Thompson, America’s under-secretary of State Arms Control and International Security said that “to see the missile does not confirm the distance that missile can travel… that’s the violation of the treaty.” There are no planned follow-up talks about the INF Treaty. – 21st January – The European Union has sanctioned four senior members of the Russian military intelligence over the Salisbury Novichok poisonings: the head of the General Staff of the Armed Forces of the Russian Federation, the deputy head, and the two agents who were responsible for the attack. The sanctions, effective immediately, ban any of the men from traveling within the EU, and also freeze any assets they may have throughout the Union – this also includes anyone who may provide financial support. This is the first time the EU has used these powers, which were created in October last year – however, all four men still reside in Russia and will not be extradited to face charges in Britain. The intended targets of the poisoning, Yulia and Sergei Skripal, survived the attack. One woman, Dawn Sturgess, died after her husband gave her a perfume bottle laced with Novichok which had been discarded after the initial attack.